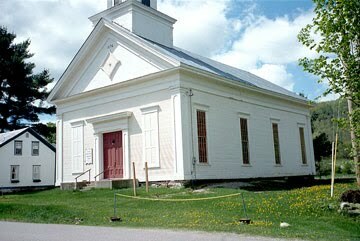 Built by volunteers in 1869, the Union Meeting House was the second “house of worship” on the land which was “eight rods wide and eight rods deep fronting on the highway.” It was owned by Methodists and Free Will Baptists. Completed in 1870, the villagers were proud of the new building with its tall weathervane on the bell tower, which afforded a spectacular view of the Huntington valley. 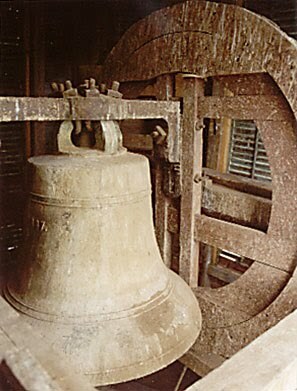 The bell from the first meeting house, cast in 1837 by Meneely & Oothout, proclaimed the hour for worship as well as tolling a call to volunteer firefighters that was heard throughout the valley.By the turn of the century, the Methodist Episcopal Society ceased to exist and the building was owned by the Baptists. In 1964, the two Baptist congregations in Huntington voted to become the United Baptist Church of Huntington and Huntington Center and worshipped alternate weeks in either church. In the late 1970s, the congregation determined it was too costly to maintain two buildings. The Union Meeting House was purchased in 1985 by the newly-formed Huntington Historical Society. Through their efforts, much work has been done to the building. In 1984, the Union Meeting House officially entered on the National and State Register of Historic Places. Over the years, many beautiful and useful gifts were donated to the Union Meeting House. Some are used today in the Huntington Baptist Church in Huntington Center. Others will remain in the UMH as part of the finished renovation, which will feature historic details of the building as well as modern conveniences. The Union Meeting House was featured in the June, 2004 issue “Timber Framing”, the journal of the Timber Framer’s Guild. See the article and photos on pages 24, 25, and 32. Since 1995, the Huntington Public Library has enjoyed a tremendous increase in circulation. It has been the recipient of numerous donations of books and materials, volunteer efforts, and diverse grants for books and programs. Founded in 1976, the Huntington Public Library had its origins in the Lower Village when a resident with small children recognized the need for a town library. The old one-room Town Clerk’s Office was stocked with books from private donations and through the State Department of Libraries. 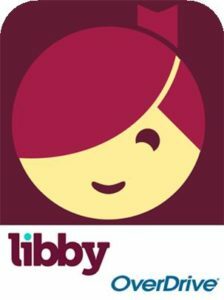 The Library, run solely by volunteers, was open Mondays 2:30-4. In the 1980s, with increased hours, more residents began to visit the “little gem” on the Town Green. A children’s collection was created in the vault at the back of the building. Unfortunately, the Library was closed for 18 months due to vandalism to the building. The trustees reopened the Library in 1994 when the collection was moved by volunteers to the first floor of the Huntington Town Hall. A year later, the Library had its first paid staff member who directed both the collection and related programs. With grant moneys and donations and through an appropriation in the Town’s budget, the number of books available for readers of all ages increased dramatically. Programs held at the Library were well attended. Another renaissance was underway! Then, disaster struck! Mold in the Town Hall caused by leaking pipes forced the Library to close once again, thwarting the momentum in the circulation and programs and the Library’s visibility. The Library was able to be open for the summer months in a temporary setting at Brewster Pierce Memorial School and subsequently reopened in the recently renovated Fuller House. When the Huntington Historical Society offered the Union Meeting House in the Lower Village in 1994 for a permanent home, the Board of Trustees made the decision to relocate and move the collection from the Huntington Town Hall back to the Lower Village. This decision involved a vote in 1999 by the town to move the library and another vote in 2000 by the town to acquire the Union Meeting House from the Historical Society for $1. In 2003, the library moved from the Fuller House to the new addition at the back of the Union Meeting House. In October of 2005, we moved into the great room of the Union Meeting House. The Historical Society sold the Union Meeting House to the Town in February, 2001, so that it might be used for the library and for other community functions. During the time the Historical Society owned the building, approximately $75,000 was raised and used to maintain the structure and add improvements such as a new heating system, roof, and septic system. Above, members of a work crew composed of Volunteers for Peace, and community members Andy Palmer, and Knox Cummin take a break for a photo opportunity.